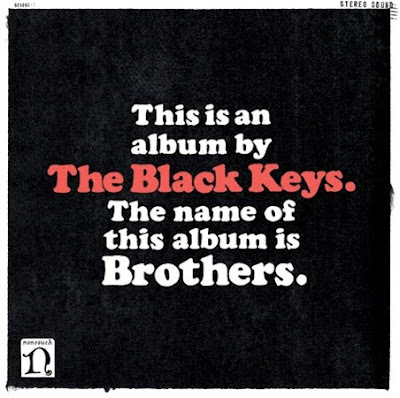 Tapes on the Floor: The Black Keys bond over "Brothers"
The Black Keys bond over "Brothers"
Dan Auerbach and Patrick Carney are busy guys, but somewhere between the multitude of projects they took on last year they found time to record a new Black Keys record. The name of the album is Brothers, a reflection of the bond that the two share as musicians and friends. Most of the record was recorded at Muscle Shoals studios in Alabama, a studio which has been frequented by the likes of the Rolling Stones and Aretha Franklin. The majority of the songs were produced by the band, with the exception of "Tighten Up" which finds previous collaborator Danger Mouse back behind the boards. Brothers is due out on May 18 via Nonesuch Records.